The party’s campaign to have parliament back its campaign to name the Cape Town International Airport after her has been rejected. The Economic Freedom Fighters said it would not rest until Winnie Madikizela-Mandela’s name was given the honour it deserved. This comes after the EFF’s motion to get parliament to support its call to rename the Cape Town International Airport was defeated on Tuesday. 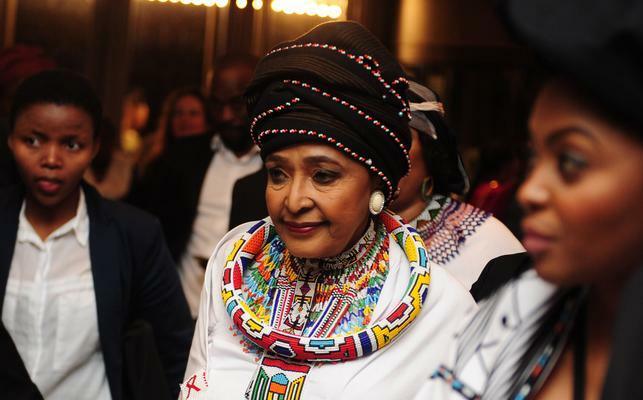 “The ANC, working with the DA, has once more rejected the renaming of Cape Town International Airport after Mama Winnie Mandela,” said the party. The party accused the ANC of “refusing” to “see” Winnie Mandela as a leader of the liberation of the country, which, according to the EFF, also meant the ANC was refusing to acknowledge that women played a major role during the struggle. “It is clear they are scared of her, even in her death. Today, like they conspired in the ANC Women’s League, together with Stratcom, to remove her as president, they have once more removed her name to stand on its own. “The people of South Africa must remind the ANC and the DA of our love for Mama Winnie Mandela on the 08 of May, 2019. This act of rejection must be repaid in rejecting them on the 8 May 2019. How is it, that even in her death, ANC refuses to give Mama Winnie Mandela the honour she gave to us all in her living days. “Her sacrifice and leadership rejected in an alliance with reactionary forces of DA. Let it go down in history that we stood and gave ANC a chance to undo its ill-treatment of Mama over the years, and true to their hypocritical nature, they refused. All promises made by the ANC during her funeral remain empty and a perfect sign of hypocrisy. EFF leader Julius Malema shook the stadium at Madikizela-Mandela funeral after suggesting that the Cape Town International Airport be named after her in her honour, a call that was supported by many, who also took to social media to rally behind Malema’s call. UDM leader Bantu Holomisa also threw his weight behind the EFF’s call, and said its rejection showed that Madikizela-Mandela was “used”.